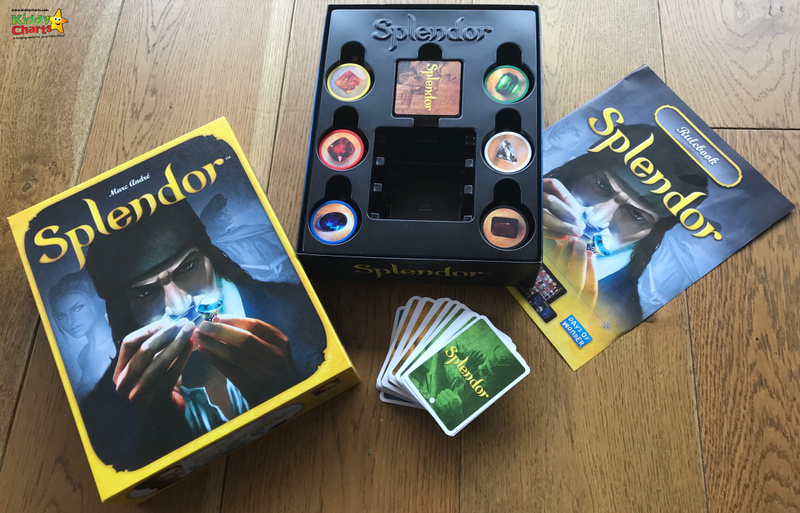 This is a game where you create your own board; a new and different one, every time you play. The gameplay involves setting up three different levels of development cards, alongside gem stone chips, and nobleman cards. Because of this set up, every single game you play tends to be very different to the last. The game is more complex than some of the other board games we have played with the children. There are a lot of rules to learn, but the ultimate idea is to use gem stones to collect prestige points within renaissance England. Now, you can’t get a more original idea than this can you? To collect prestige, you accumulate gems; by either picking up the gem stone tokens, or swapping these token for development cards. You can then use these tokens to buy a mine, transportation, or even hire an artisan. 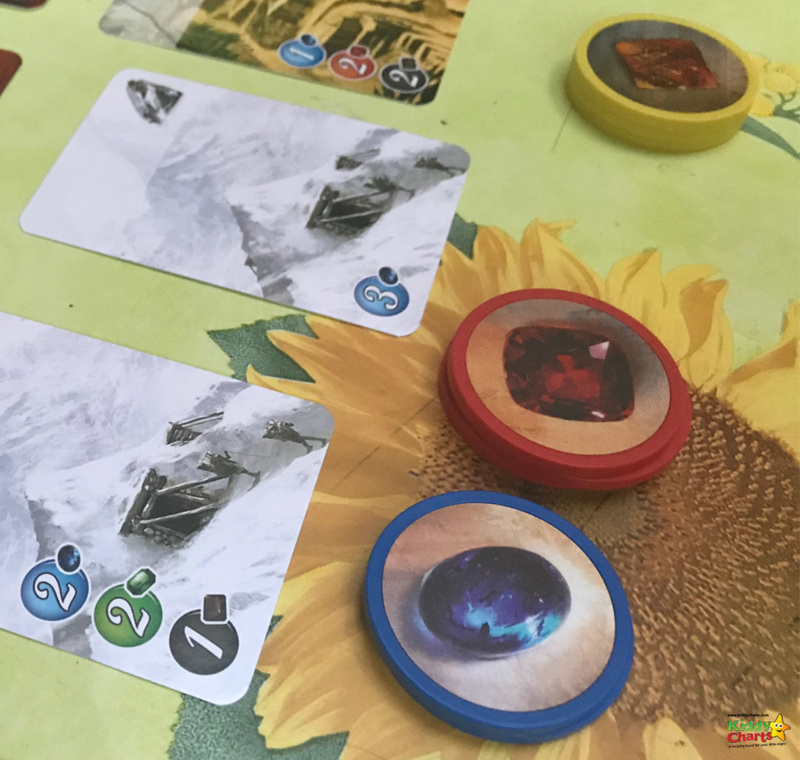 These development cards, in turn, help you to acquire more gem stones until the prestige you have earnt from accumulating such wealth catches the eye of the gentry. When you have sufficient prestige, a nobleman might decide to come and visit you. The ultimate winner is the one scoring the most points; when someone hits 15 prestige points, everyone gets one more turn. After that turn, whomever has the most points, wins. 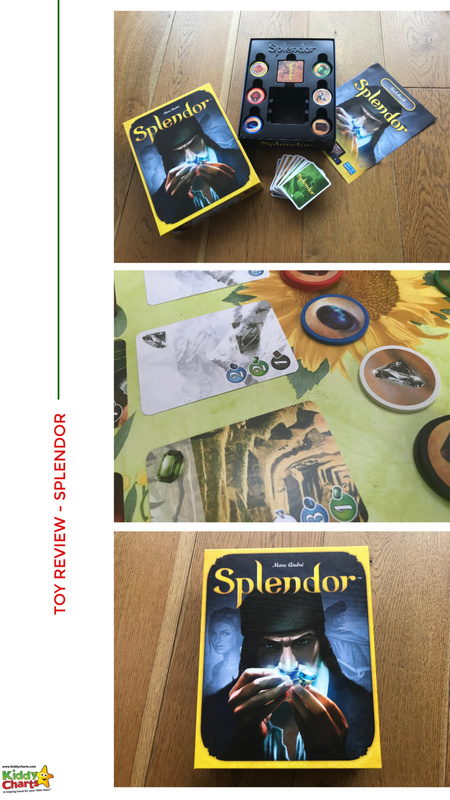 What did we think of Splendor? This is, quite simply, a BRILLIANT game. We can’t really fault it. The kids love playing it, and it really does bring out some very complex thinking in everyone playing it. We’ve played the game a lot in our household, and my other half hasn’t won once yet, and I’ve only managed it the first time we played. Beginners luck. The kids just keep on winning! The game pieces are extremely well made; and the gem stone tokens could so easily have been cheaply made. However, they are strong, and clearly will last the test of time.As long as the kids remember to put them away after each game of course…. 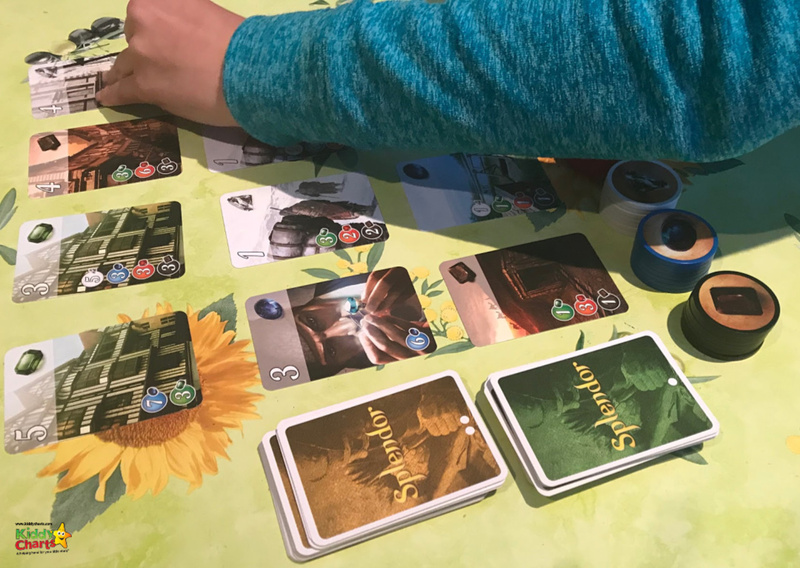 There has been no skimping on the game in its production which is great to see, and helps to make those playing it feel its worth taking the time to learn it well. If the manufacturers care about it, so do we. The game itself is a joy to play, and in a recent weekend, we have five games in a row. To keep an older child entertained for over 2/3 hours at a time is praise indeed. But for our son in particular, who likes nothing better than being active, sitting down and playing for that length of time, is pretty rare. It really captures kids imaginations, as well as their thoughts. The thinking required to win this game is another bonus. It really does test the intelligence, and we can’t recommend it enough for teaching older children problem solving, strategy, and planning. If you like this article, or any of the others on our blog, particularly our fantastic free resources, then do sign up to receive our newsletter. We sent it out weekly, so you keep up to date with the articles we produce. We aim to give you a free printable every single week if we can. Thanks so much for visiting, and we hope that we see you again soon too. 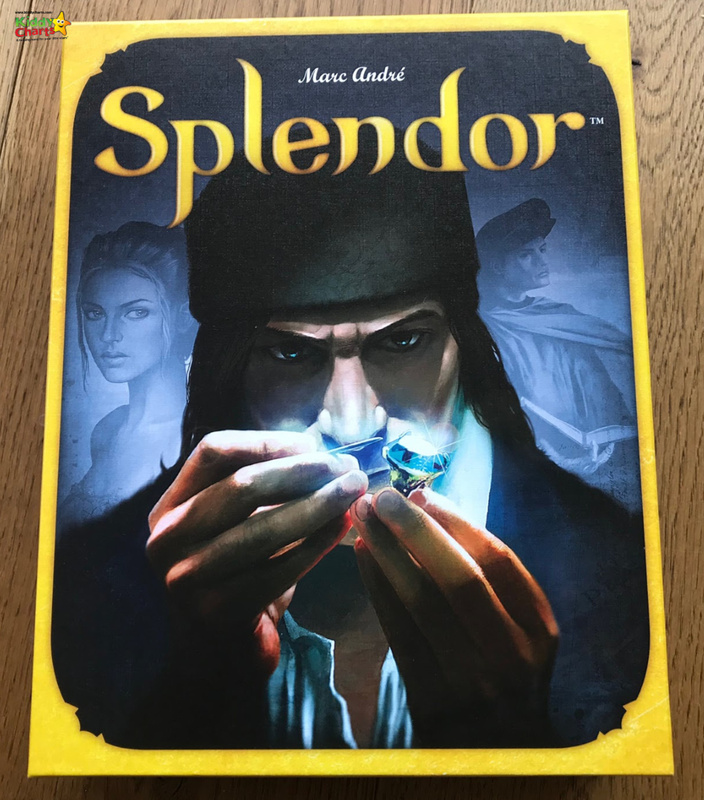 Note: We were provided with a game for the purpose of this review free of charge, and this post contains affiliate links. All opinions are our own though.